I’ve written a lot of posts about milk paint. 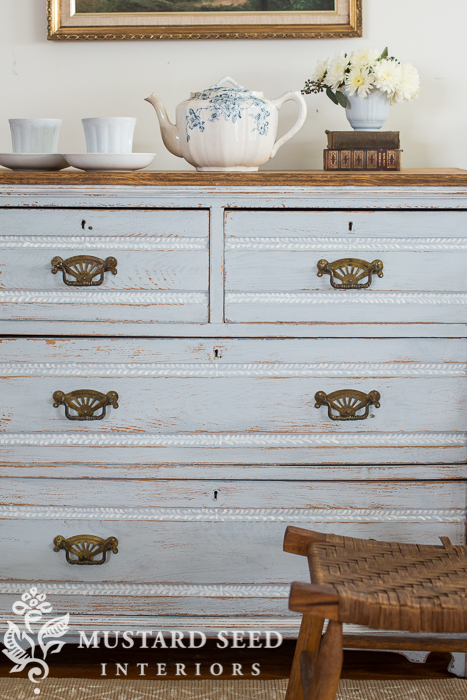 In fact, we have an entire blog just dedicated to all things MMS Milk Paint. I could talk about it a lot more than I do, but I never want my readers to feel like this blog is a milk paint commercial. 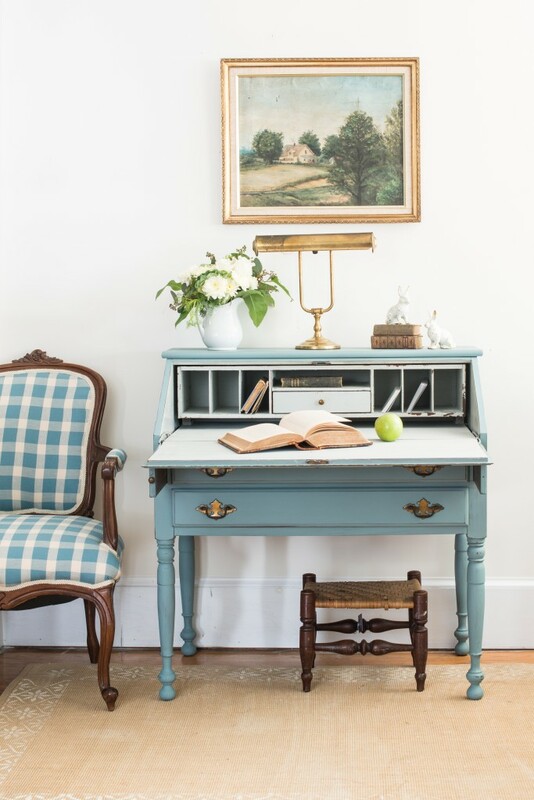 But when I asked you what you wanted from my blog, I was surprised to learn that many of you wanted to hear more about milk paint. I mention it a lot, but I realized that it’s almost in passing, so if you don’t know anything about milk paint, me simply saying that I painted something in milk paint, distressed it and applied hemp oil might not mean much. I’m glossing over the details that would be helpful for someone trying to replicate the looks I’m achieving. So, I’ve decided to write a series to those who are brand new to milk paint and to those who have used it, but want to increase their knowledge. Let’s start at the beginning. What is milk paint? Milk paint is not new, for those who didn’t know that already. In fact, it’s one of the oldest forms of paint. It was found in the pyramids and cave paintings. 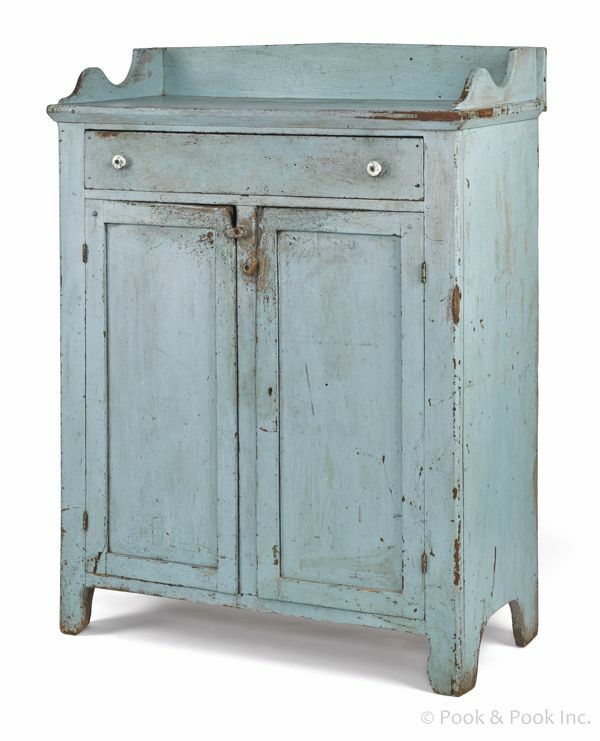 If you’ve seen, or are fortunate enough to own, an antique piece (100+ years old) with the original paint on it, that paint is almost certainly a form of milk paint. So, I didn’t invent milk paint, in case you were under the impression that I did! 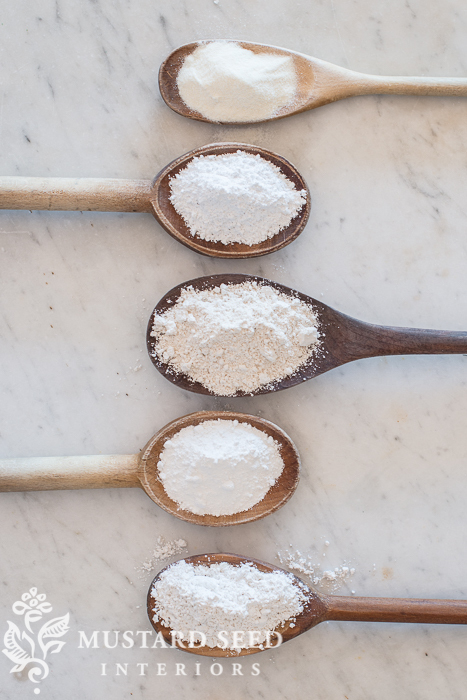 The ingredients used to turn casein into paint are, from top to bottom, casein (milk protein), chalk, clay, oxide (natural pigments) and limestone. That is ALL that is in MMS Milk Paint. Five all natural ingredients. It comes in powdered form, which can be intimidating for those used to using liquid, pop-the-can-and-go paints. The reason it’s sold in powdered form, is because once it is mixed, it is perishable. In powdered form, it will last indefinitely, which is nice if you’re an occasional painter. 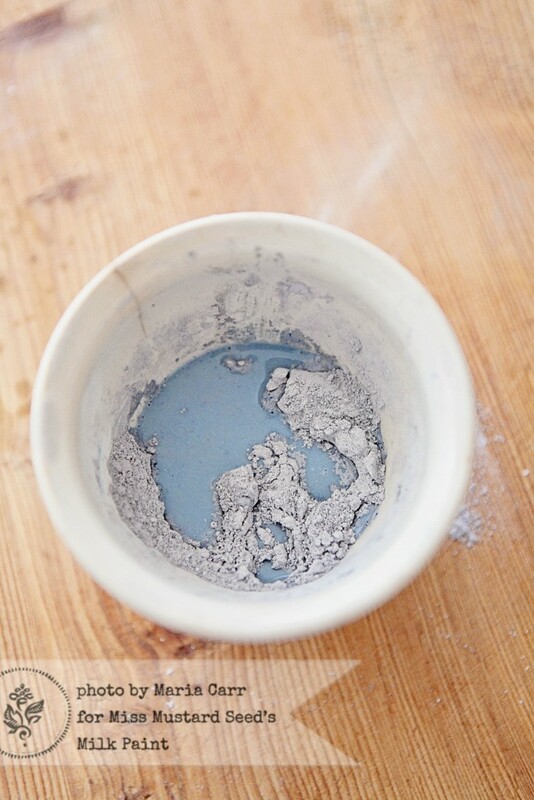 When it’s mixed with water to make the powder into a paint, it will last about a week, depending on how it’s stored. For this reason, just mix it in small amounts, as you need it. I usually just cover it in Press-n-Seal wrap and then add some water and give it a good stir when I’m ready to use it again. 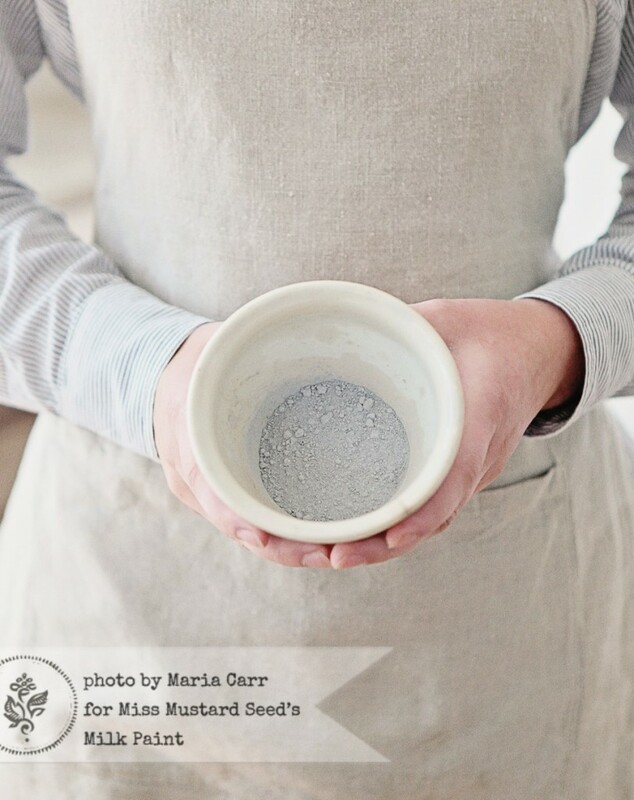 So, why milk paint? Why did I choose that paint to sell under my brand? When I started using it, I was excited to find what I had been looking for in a paint for years – a finish that looks authentically old. I feel like it has more “soul” and personality than any other paint. That’s what hooked me, but I’ve come to learn it’s not just a one-trick pony and I’m constantly surprised by its versatility. 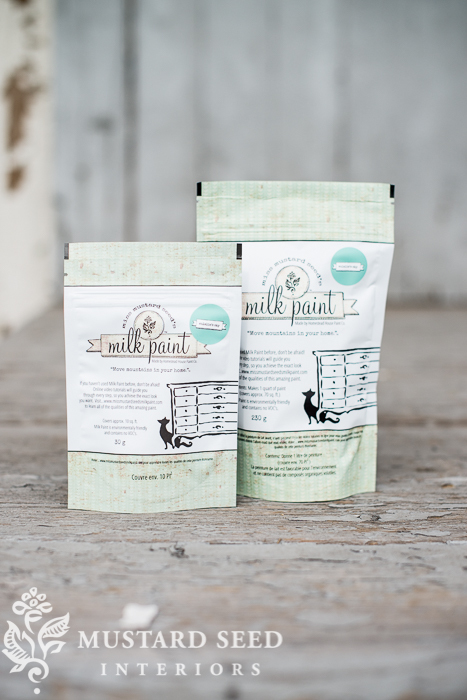 I have to be honest, when I first launched the line, I felt like I might feel obligated to use milk paint all the time. As I started using milk paint more and more, though, I discovered that the more I used it, the more I loved it. I hope, through this series, you’ll discover the same thing. 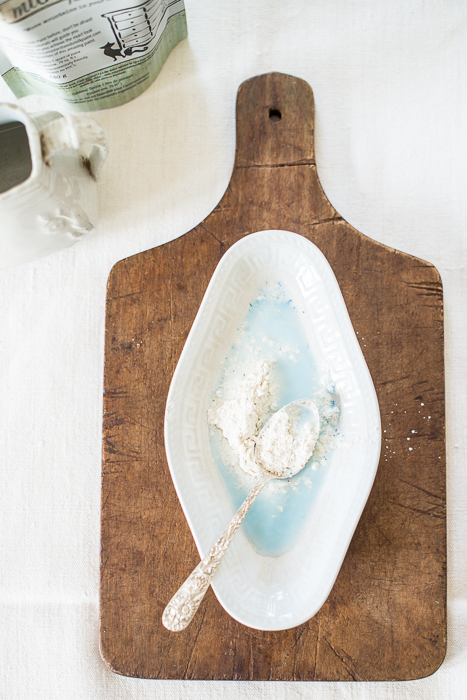 Would you paint your wooden kitchen utility spoons with milk paint? How long would they last? TY!